Hi My name is Sheila. In 2011 i was Diagnosed with a mass on my thyroid. My doctor sent me to a ENT surgeon to have a biopsy and to have my thyroid removed. He refused to do a biopsy and remove my thyroid. He told me he wanted to watch it and see how it grows. He told me that thyroid cancer was the best kind of cancer to get and he wasn't concerned because its slow growing. Now 7 years later i still haven't had a biopsy or had it removed. I've seen 3 surgeons and several doctors and have several ultrasounds and ct scans. It has now spread to both sides of my thyroid and now is also in the middle section of my thyroid. It is now blocking my windpipe and is causing problems with my breathing and my voice. I no longer have faith in my doctors here in Oklahoma. I have taken the step to go to the Mayo clinic for a biopsy and they have agreed to remove my thyroid as well. My mother had her thyroid removed when she was 35 because of cancer. My latest ct scan and xrays have noted that they saw some spots on my shoulder where i had surgery a couple of years ago and put that its possible multi myeloma. I also have several lymph nodes through out my body that are enlarged. I have had 38 ct scan in one year do to having 7 surgeries, blood transfusions and iron infusions because of my organs shutting down after having gastric surgery that i had complications from. I was also diagnosed with a mass in my left lung that has been biopsy and came back inconclusive. They are also watching that. I also tested positive for histoplasmosis which i was on antibiotics for that. My goal is to go to the Mayo clinic to get answers. I want to live a healthy life. I have spent 193 days in the hospital in 2015 and i just want to take my life back. I'm no longer able to live a healthy. I'm out of breath all the time. I'm tired no energy and i'm at my wits end with my doctors. I'm having massive issues with my breathing and my blood pressure from the thyroid issues and i just can not continue to live like this. Money would go towards treatment, Air fair, hotel and expenses for me while i'm in Phoenix. If your able to help me with getting to the Mayo clinic it would greatly appreciated. I really want to fly out in the next 2 weeks to the mayo clinic to start treatment. I'm waiting too see how soon they can get me in. Well i just thought i would do an update. I still need to get back to the Mayo Clinic for a bone marrow spinal tap. But I'm having to wait on that. My arm has been giving me a lot of trouble. I need to get in to see the orthepedic doctor but Dr Ried office said because its been 2 years since my last appointment that i would have to come in as a new patient and my first vist would be $275. So i'm trying to get that together. I wanted to thank everyone who has donated and send pray and love it has ment a lot to me. There has been days i have jus t not wanted to get out of bed. But i'm doing my best to stay postive. I'm feeling kind of defeated today. I need to go see my Orthopedic surgeon Dr. Reid. And because I don't have insurance I have to pay $275 for my first visit since I've not seen him since 2016. I knew this was going to happen this is why I've been putting off seeing him. But I can not continue to rack up more charges to my hospital bill that is already over $60,000 and still not get answers our help for the pain I'm in. Last time I was there with my shoulder all they told me was my shoulder was separating and had several lesions in it and a tumor-like cyst on my bones in my arm. They told me I need to go to my Orthopedic doctor to have him compare my scans to see if it's new or the same when he was treating me. With the cold weather moving in I'm in a lot of pain in my shoulder, back, spine and ribs. Which all are symptoms of the Multi Myeloma. So, I tried to call the healthcare marketplace to get help with insurance coverage and I'm not eligible for help for this year. I have to wait for November 1 to see if I can get help for 2019. I need to see the Orthopedic doctor I also have to go see my hematologist to have my iron levels checked again because I'm staying cold all the time again. I'm just overwhelmed because I want to be healthy and I'm being positive. I get mad when the doctors say you need to go see this specialist and this specialist and have this test done and this test is done. Oh, and by the way, we need money up front before we can schedule your appointments. Its like man really, and where am I suppose to get that kind of money from. And to make matters worse my husband is working 2 jobs just to keep a roof over our heads and we have 3 bad tires on our car and one is about to blow any day. I just want the pain to stop. I'm sorry if this seems like a pity party because it's not. I just do not know what else to do to get help with the pain and to get the treatmetn i need and how to pay for it. I'm getting no where with everything. So i'm asking if your lead to help so i can get into see Dr Ried to get at least one answer that would be a start. So I posted a few weeks back that we had to move because of mold and issues. 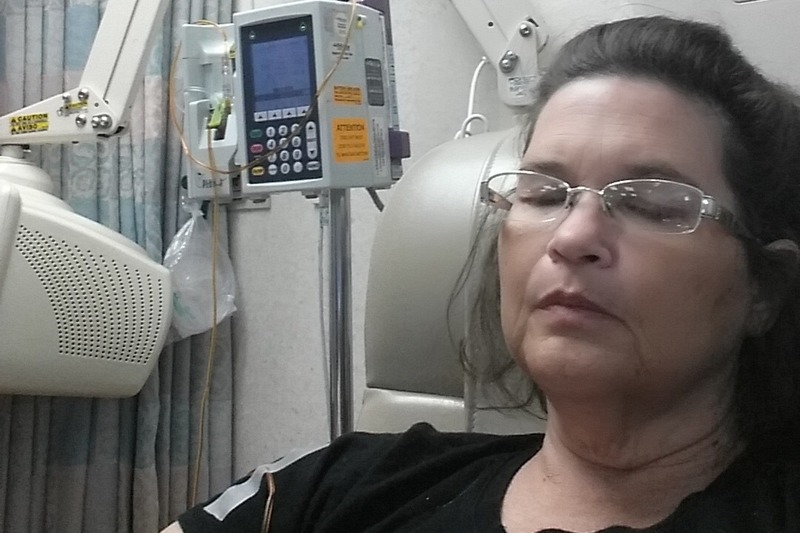 With having histoplasmosis, cad and multi myeloma it wasn't safe for me any more. We have moved out and put out things in storage to go through to make sure there isn't mold spores in them. We are currently waiting on the new place to move into for a few months as we imbark on building a tiny home to live in in the country. So where that is safe and healthier and debt free for us. While we are in transition we want to thank everyone for their love and support. 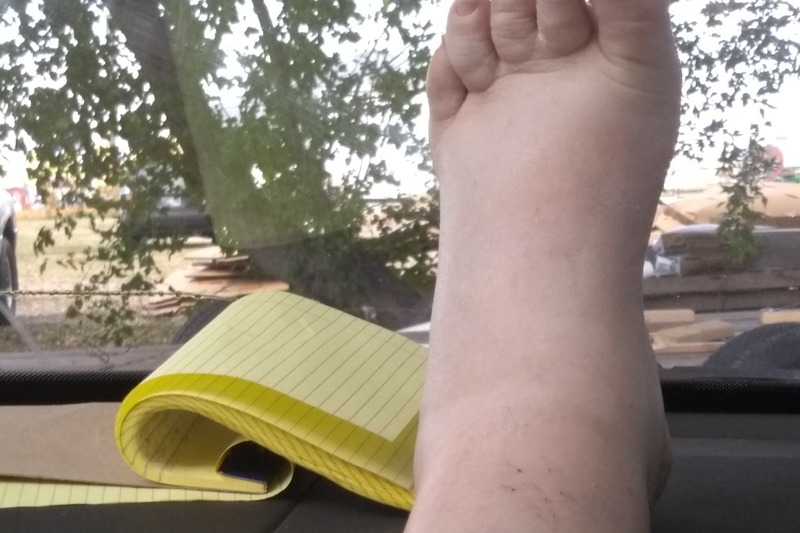 My feet are like balloons today as I sit in our car waiting for my husband to get off work. I feel relieved of the stress that we were under the last year and I know God has better things for us. 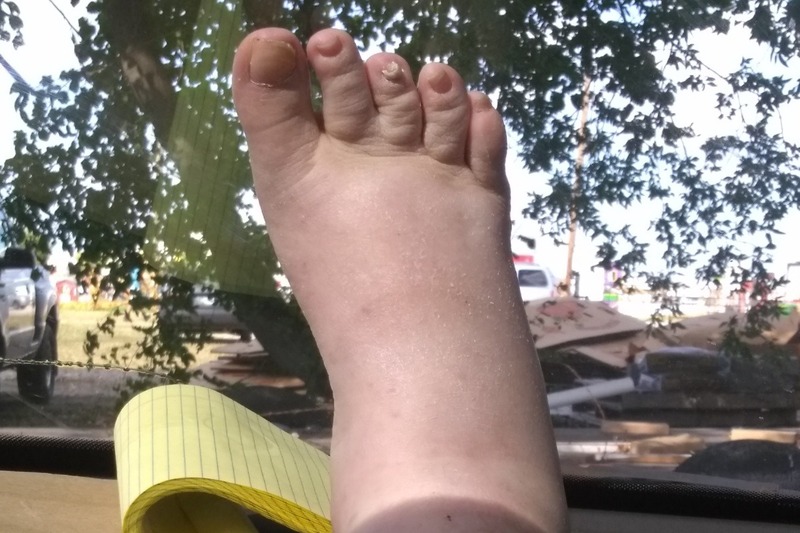 Please pray for my heart and that my feet will stop swelling. Hopefully in a few days I will be able to lay in bed and rest them and heal. Well, its been a horrible weekend. I was having tightness in the chest on Saturday and Friday my body temperature was off. Went to the er Saturday and was admitted. They did a CT scan to look for a blood clot and pneumonia that came back clear. They did a stress test in my heart that came back clear. So they let me go home. I called the Mayo clinic and they told me I need to come in asap to have my bone marrow biopsy done. They said it sounds like my multi myeloma is advancing. So I need to get to Arizona. They said they will call me back this week to see if they can fit me in asap. Right now I'm looking at the end of October. They said I would have to have the $5000 up front for my test. So I need help to get there and to cover my experience and the money for the deposit on my account. If you can imagine that you feel like your going to exploid because of the intense pressure in my chest area. And pain meds aren't helping. I hate coming on here asking for help but I honestly don't know what else to do. So if you can help or share my story today and if everyone that reads this could donate $1 I will be closer to my goal.